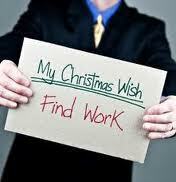 Don’t be fooled like most job seekers and put your efforts on hold until after the holidays! Use this special time of year to your advantage. Actually, you could find networking and interviewing for a new job to be easier during the holidays than other times during the calendar year. of having less competition. It improves your odds of being found by a recruiter and invited for an interview. I speak from experience; I interviewed and was offered several positions in my career during the holiday and I’ve recruited for many positions during December to begin in January. The holidays provide you with additional networking opportunities too: holiday parties, charity events and simply sending out a holiday card or a Facebook/Linked In update that you are actively searching for a position. Use both personal and professional holiday get togethers to mention that you are available. Accept every invitation you receive and invite yourself to others, if appropriate. You never know who you may meet to help you in your search. Sending a holiday card or happy new year greeting card to your contacts, recruiters and employers with whom you have interviewed is another way you can connect with them and inform them of your search status. Don’t overlook volunteer opportunities to spread the cheer as well as meet new contacts. People are most willing to help at this time of year. Your demonstration of charity will make a positive impression to potential employers as well. Connecting online is so easy and convenient. You can simply post something or send a personalized greeting in order to reinforce the networking resources you currently have as well as expand your network. While some businesses may slow down and key decision makers may be out of the office, especially the last two weeks in December, most companies are still in operation mode. 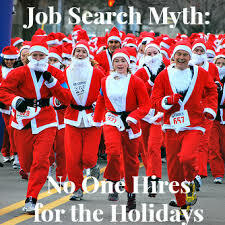 Recruiters are often busiest at this time of year in expectation of January hires. Don’t lose sight of the spirit of holidays, however. Place a priority to take time for yourself and family, to renew yourself and remember the Reason for the Season. Merry Christmas. This post was a ReBlog from 2012. Interested in discussing your job search, promotional or career success strategy? Please contact me at patriciaedwards2@verizon.net or 813/843-6934. Nice blog! You give steps to help people find a job. You make it practical and not something that is just fate or luck.